Hold up! 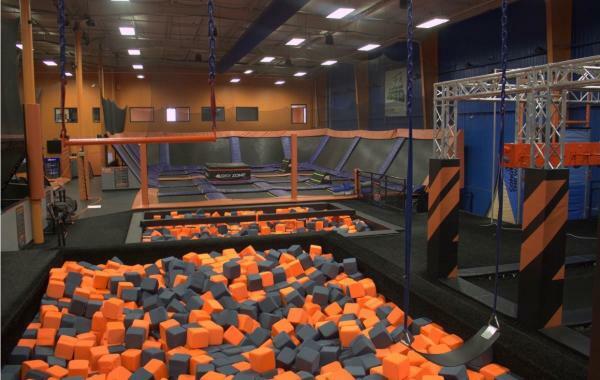 Being an adult who loves food, I immediately said, “What about brunch?” His reply was, “Doesn’t matter.” Our expert recommended eating a granola bar on the way to Sky Zone to avoid missing the first run at the new Ninja Warrior course. 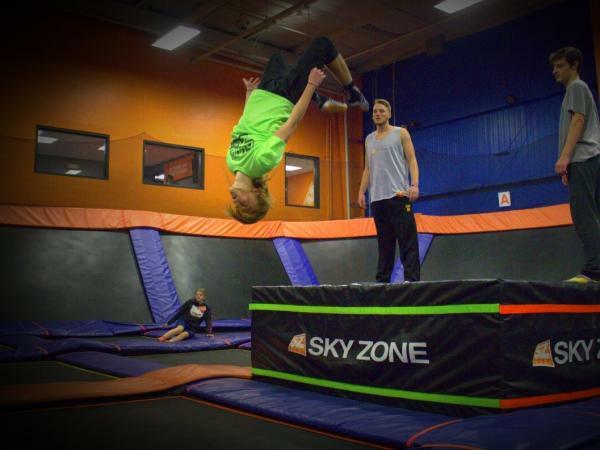 And I had to admit, Fort Wayne’s Sky Zone is fantastic. In addition to the newly-built obstacle course, they have a jousting platform, swinging trapeze, Jacob’s ladder, dodgeball area, three levels of basketball dunking, and plenty of trampolines, foam pits, and platforms for your jumping enjoyment. I recommend that adults purchase a ticket to jump with your kids and plan to be there for at least 90 minutes. It’s so much fun that you won’t even notice you’re working-out! After Sky Zone my interviewee wanted to engage in more fitness, but I insisted on a lunch recommendation. 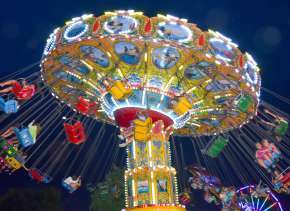 He suggested the Hall’s Drive-In restaurant, which is just a two-minute drive from Sky Zone. It’s a venerated American eatery (think burgers, fries, and shakes) that also has indoor seating and a mini-arcade. It’s a great Spring Break choice with filling portions and friendly prices. After lunch, he suggested swimming. If you’re a YMCA member, try the newly-built Jackson-Lehman Y, located on Fort Wayne’s northeast side. It has an indoor pool with a family area as well as lap swimming and a diving platform. If you’re not local and plan to stay at one of our friendly hotels, now would be a good time to check-in and check-out the indoor pool. We have many great hotels with pools, fitness centers, and plenty of other perks. The Visit Fort Wayne lodging page can get you started with a recommendation. If you’d like to stay on the northeast side of town, I recommend the Holiday Inn Purdue Fort Wayne. After a swim, our tour guide suggests some arcade play. 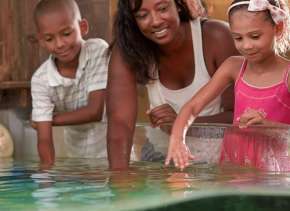 The Putt-Putt Golf & Games at 4530 Speedway Drive is located northeast and will provide you with hours of family fun. It features a large arcade, three miniature golf courses, and plenty of concessions. For the evening, you have two choices: back to the Holiday Inn for dinner at the onsite restaurant and another swim…or shopping at Glenbrook Square Mall and dinner at P.F. Chang’s. Either way, you’re sure to sleep well after your active, fun-filled day in Fort Wayne, Indiana! Our next local expert has a different day planned. It starts at Spyro’s, a local pancake house where you’ll enjoy a fabulous breakfast or brunch. Relax, enjoy a beautiful meal, and plan your day of shopping. 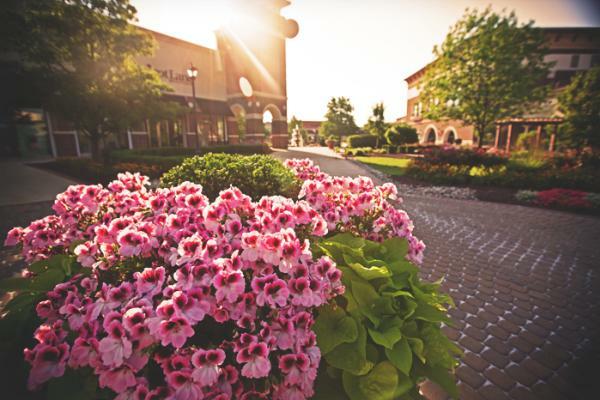 Then it’s off to Fort Wayne’s outdoor mall, Jefferson Pointe. You can spend the day perusing the stores, walking, and having fun. 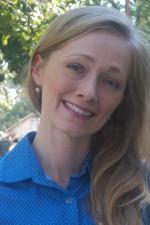 Check Jefferson Pointe’s website for sales and events. And remember to log all the steps you walk. If you’re keeping up pace with a kid on spring break, you’re likely to get at least a few miles in by afternoon! When you’re ready for a shopping break it’s time to take in a movie. Jefferson Pointe is home to an 18-screen AMC theater. It features an IMAX screen as well as 3D viewing and a cocktail menu for the over-21 crowd. Enjoy the popcorn candy but save room for a big downtown dinner! Fort Wayne’s downtown dining options are limitless. 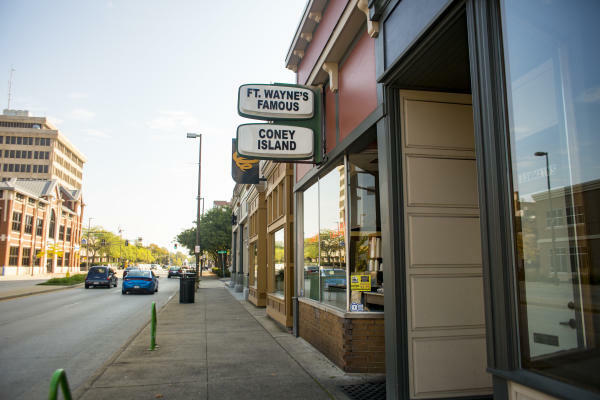 Our expert recommends Fort Wayne’s Famous Coney Island followed by dessert at the neighboring Yummi Bunni. Coney Island is a centenarian establishment featuring their famous coney dogs, chili, chips, and soda in glass bottles. Yummi Bunni is a gourmet ice cream shop where decadence and fun are always on the menu. If you’re looking for cloth-napkin service try Ruth’s Chris Steakhouse in the new Ash Skyline Building, and plan to enjoy dessert at DeBrand Fine Chocolates on the other side of the parking garage. 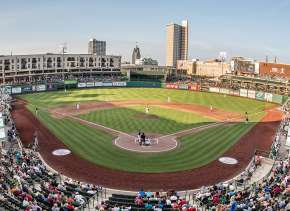 Either of these itineraries are the perfect choice for a fun, family-friendly spring break in Fort Wayne, Indiana. Fort Wayne is a beautiful and friendly city. Try us out during spring break this year and find out why our visitors return again and again.